Hitting the markets on November 2016, the Lenovo C2 Power gained its popularity among the entry level gadgets with its improved features. It comes with a larger display, a more powerful battery, more advanced cameras and more improved storage capacity and the performance is up to par. They say that the Lenovo C2 Power is much powerful yet affordable. 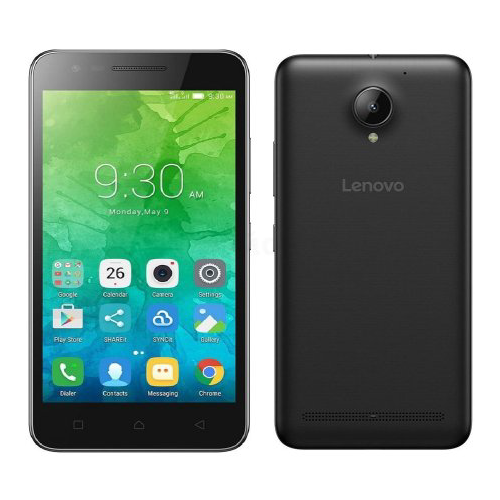 Lenovo C2 Power has dual SIM capabilities and has LTE enabled. The 4G network helps in super fast up-links and download speeds. Powered by 4 fast processors rated at 1.0 GHz, the performance of the device is superb. It has 2 GB of RAM that help you in playing games, running apps, listening to music and watching videos. Lenovo C2 Power has a vibrant 5.0 HD screen that is enough for all the content you need to view on the device. This is always the perfect screen size that many people prefer. Color accuracy is fine and content readability is all good. Images and text appear well laid out and brightness is okay and can be adjusted for your own preference. The 8 MP rear camera is so much advanced and helps in taking brilliant shots with a click away. It is loaded with many features and modes that are easy to use to perfect your photography. The selfie camera has 5 MP that also works perfect. Out of the box the Lenovo C2 Power comes loaded with Android 6.0 and a total storage capacity of 16 GB. Some space is consumed up by the pre-loaded apps. This volume is large enough to hold many apps and large files. One can increase the storage of the device using a 32 GB microSD card. Powered by a mega 3500 mAh battery, the Lenovo C2 Power gives you enough time to surf the web, stream videos, play games and make calls. It is a removable battery that takes a short time to charge. Within a short time of charging, it can gives hours of usage. It has a standby time of 408 hrs, which is equivalent to 17 days.